Startup in Hills with IIT Mandi Catalyst! 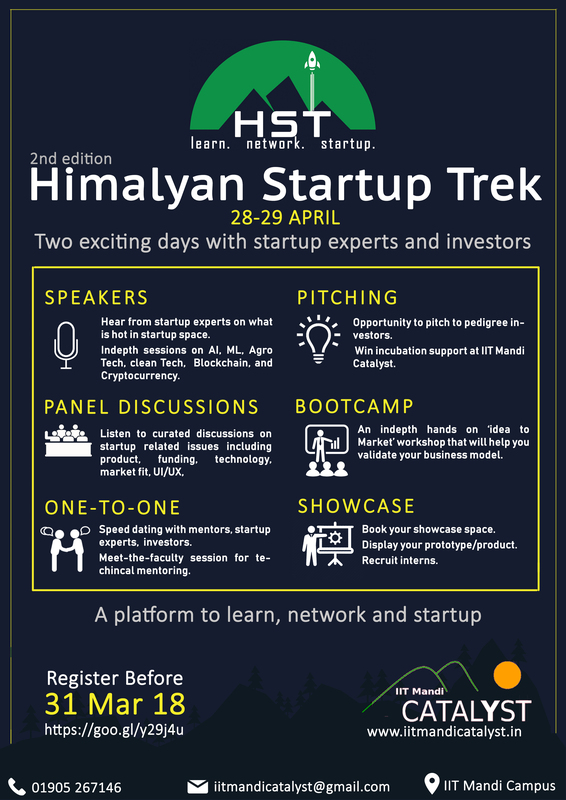 IIT Mandi Catalyst brings to you 2nd edition of HST. A Must attend for startups and startup enthusiasts. Over 30 speakers & Investors, representatives from DST & HP Government, One to one meetings with experts, Incubation pitch, Investor Pitch and much more.